Your business’s revenue cycle moves like a fine oiled car, and you’ve worked hard to tune each part. With the transition to ICD-10 approaching, avoid stalling out - seek help! Without proper planning, your revenue cycle is headed straight for a crash after the October 1, 2014 ICD-10transition deadline. NOW is the time to contact our ICD-10 certified training staff to devise a strategy and avoid stalling out. 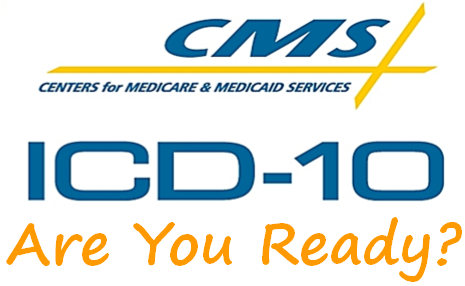 The Centers for Medicare & Medicaid Services (CMS) recommend you plan immediately for the ICD-10 transition to avoid serious damage to your revenue stream. Critical planning includes training and working to document improvement processes – both activities correlate directly to the success of the new coding system. The biggest threat to your revenue stream is severe reductions to your reimbursements. This can be caused by backlogged insurance claims. The new ICD-10 coding system consists of almost 70,000 diagnosis codes and over 72,000 procedural codes creating opportunity for potential errors in coding, ultimately producing backlog of claims. The transition for coders will be challenging without proper preparation in training. Compliance is critical to the financial health of your organization. To create a viable ICD-10 transition NCG Medial offers a guarantee to help your business thrive through the change. Through our expertise and award-winning services your business will gain help with sending out compliant claims, paper or electronic, as well as Medicare medical necessity checks and a smooth transition from ICD-9 to ICD-10 diagnostic codes. To learn more how NCG Medical’s ICD-10 Certified training professionals can help your practice with a transition plan, please call 800-959-1906.